This post has been updated. The project created in the original post from 2013 was sponsored by Dollar Tree. 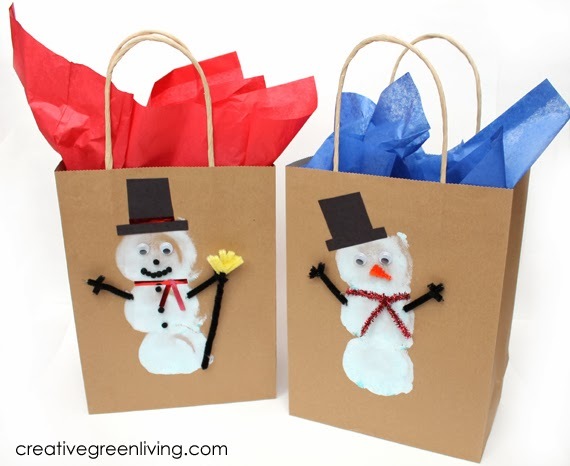 With a three year old who loves to craft, I'm always looking for crafty ways to involve him in the holidays. Last year he helped dress up packages with stickers, pom poms and glitter. 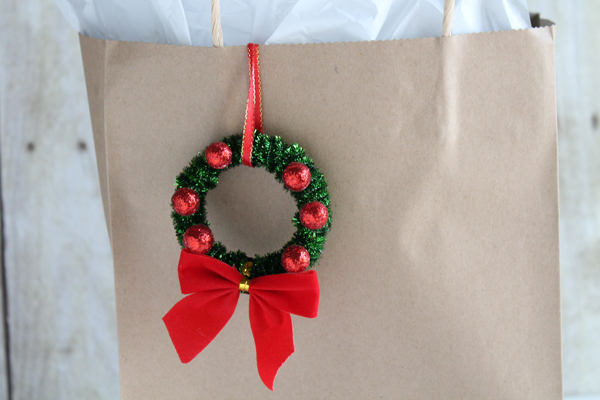 We also like to make fun package decorations that double as ornaments. 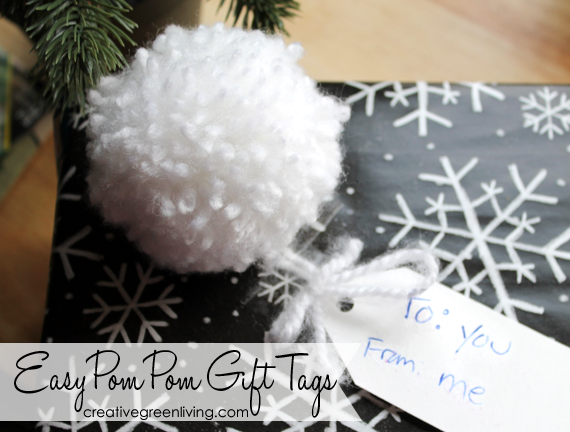 See all our fun gift wrapping ideas here! You can get all of these supplies at your local Dollar Tree! Lay out your gift bags. Squirt some paint on a paper plate. Blow up your balloons to be the perfect size to fit into your kids' hands. Then stamp the pant onto the bags. For snowmen, use blue and white paint circles stacked on top of each other. 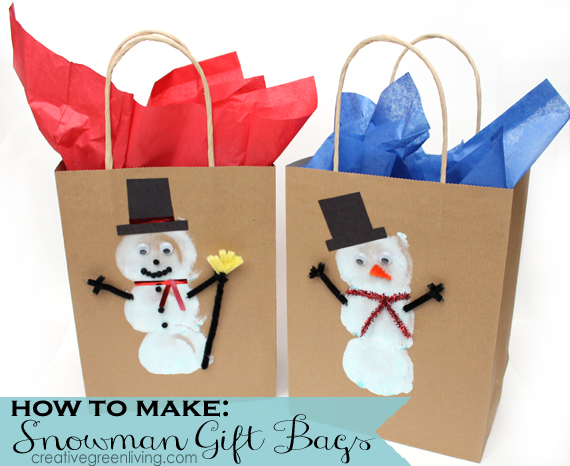 Use googly eyes, pipe cleaners and scrap paper to add additional details like facial features, a hat or a scarf. For reindeer, I used brown paint and turned them into reindeer faces with googly eyes and sparkly pipe cleaner antlers. I added jingle bells to the small ones (with washi tape as a collar) and a huge ornament as a bow on the bigger one. 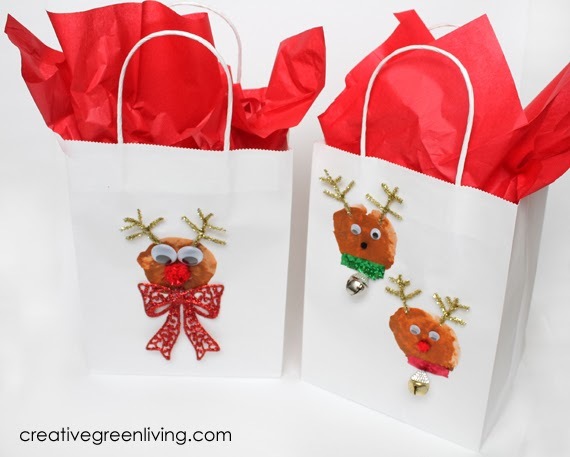 I love how these gift bags turned out! 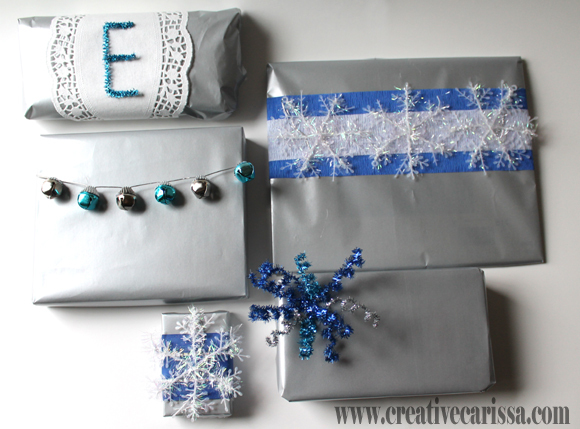 Want more great Dollar Tree Gift wrap ideas? Check out these posts, too! Love your wrapping! Esp the reindeer!! So cute. 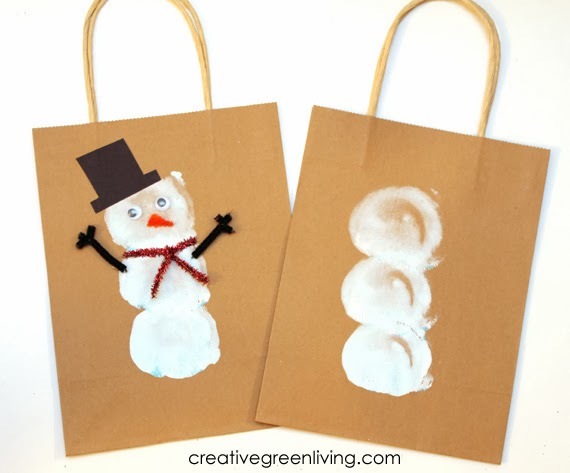 These gift bags are adorable! I sure would love receiving one - anyone would!! Pinned! !